In 2010 Siegel Construction worked with Matteson staff and Patterson Dental to offer a complete approach to planning, scheduling, and coordination of the project. As a result, the project was completed on time and within the budget. Client requirements regarding equipment and cabinetry were met. 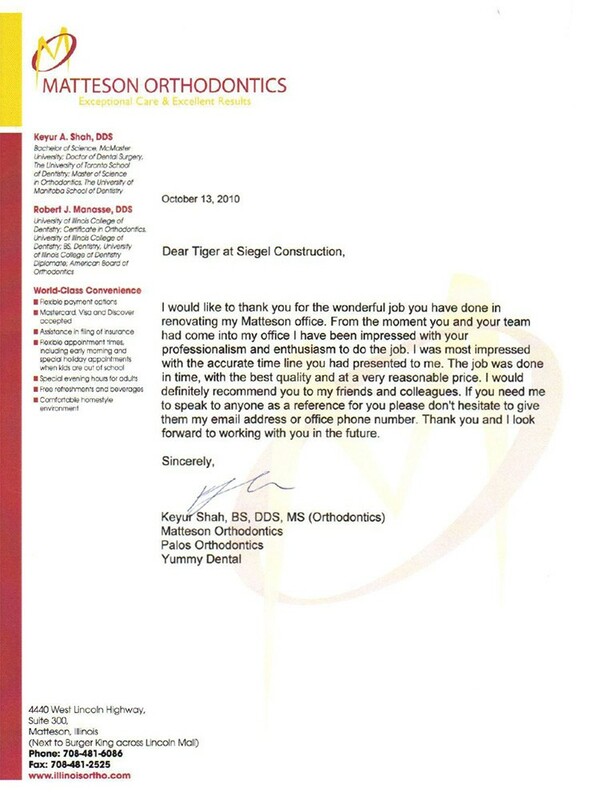 In 2011 Matteson Orthodontics hired Siegel to complete renovation program. Scheduling and estimating Project was completed on time and wining budget.